I recently hit 5,000 page views here on Looking back and in order to celebrate this I wanted to host a giveaway here on my blog. The giveaway will be running for 1 month and it is open internationally. 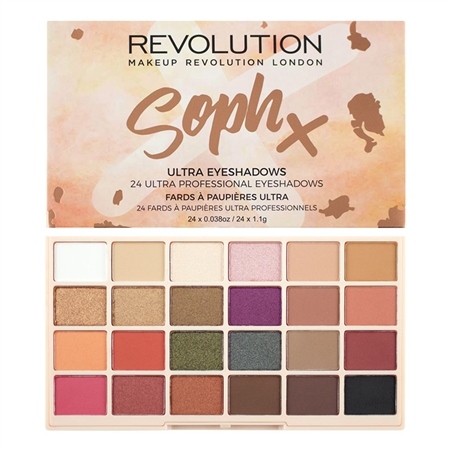 So, in order to win the Soph x Revolution eyeshadow palette all you have to do is comment below your name and where you are from, and send an email to lookingbacksadierawson@gmail.com telling me once again your name and how you found my blog. Thank you everyone for your support, I am aware that my blog is small and this may not seem like that many views to you, but I want you all to know that I am so grateful for your support and interest in my little blog, so thank you once again and good luck!!! You can enter the giveaway here - http://www.rafflecopter.com/rafl/display/7f21804e1/? My name is Terry and I am from Montana. Hi, I am from Kentucky and my name is Josie. Congratulations on your 5k. I'm Jc Loh from Kuala Lumpur, Malaysia. Ferne McCann New Fragrence and Beauty Range! !